Buying a new car? Mind the GAP! If you are thinking about buying a brand new or used vehicle from a garage, then you really should consider GAP Insurance, says Stewart Miller & Peter James Insurance director Cheryl Maybury. "We are all aware that the minute that you drive a vehicle off the dealership forecourt, it depreciates in value – but what many of us don’t think about when buying a car - new or used, is the financial implications involved if that vehicle is then written-off. "If you have finance on a brand new vehicle and it is written-off or stolen, you may owe more in total when the interest is included, than the market value paid to you by your insurer. "GAP Insurance will make up the financial shortfall so that you can settle all outstanding monies without being out-of-pocket, leaving you in a position to purchase again. "Even if an insurance policy states that the insurer will replace a brand new vehicle if less than 12 months-old at the point it is written-off, you may still suffer financial loss. "Even if you are paying for a vehicle in cash, you can still find yourself out-of-pocket should your vehicle be written-off or stolen. In this case Purchase Price Protection can be taken out at purchase, meaning that you will be paid the difference between an insurer settlement and the purchase price in the event of theft or total loss. You can choose how long you wish this protection to last for, usually for a period of 3, 4 or 5 years, and it is a one-off payment, so no need to renew each year. 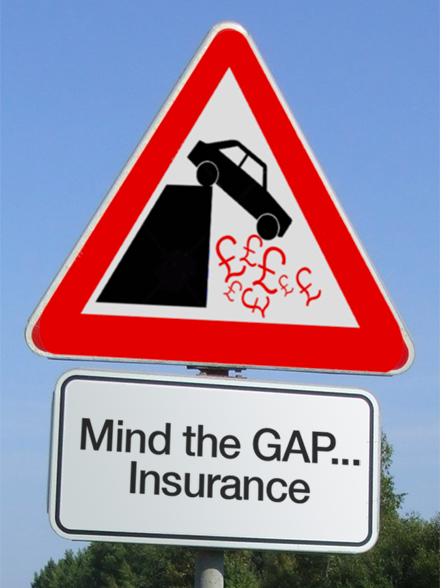 "Many garages will push hard to persuade you to take out GAP Insurance through them at the time of purchase, but in many cases this is not the most cost-effective - we at Stewart Miller & Peter James Insurance are often able to offer the same product at a much cheaper price - in most cases at least 50% lower than offered at the point of sale of the vehicle. For example, a friend of mine was insured with a large insurance company and his eight week-old Audi TT was stolen. Since that model was no longer available, he was told that he would either have to wait months for a duplicate vehicle to become available or alternatively, the insurer would make a payment which meant he would owe £7,000 after settlement. Luckily he had a GAP policy in place, and disaster was averted. We provide numerous customers with GAP Insurance every year, offering them peace of mind that if the worst should happen, they won't pay the price."